So, you've received your griffon mount after a lot of hard work and the painful loss of gold and maxed out the masteries for it. But how do you do all the special stuff mentioned in the masteries? I struggled at first. So, here's the info I discovered through trial and error. Soaring Rescue: You can now mount the griffon midair. While in the air, use the mount hotkey to hop onto the griffon. Pretty self-explanatory and easy to figure out. Aerial Prowess: Use Swoop to dive towards the ground and engage foes below you, or enter the dive state using movement ability 1. When you gain substantial diving speed, use movement ability 2 or the backwards-movement key bind to carry your momentum upwards. This allows the use of the "v" key to falcon dive towards the ground. Swoop can also be used to dive, but is currently bugged and can cause an animation lock on the griffon. To gain forward momentum, hold forward and "v", then let go of the "v" key. This will give a slight increase in forward movement speed. To climb, use the "c" key to gain altitude. Backwards movement key can also be used to lean back and climb, but if held too long will put the griffon into a landing state. Getting the timing down will take practice, so find an easy-to-get-to high vantage point to practice these abilities. Aerial Finesse: Wing Flap can now be used while diving and pulling up to gain a burst of speed in your movement direction. While holding forward and "v' use the Wing flap key then let go of the "v' key to get a lot of forward momentum. The griffon will move very fast this way. I was able to go clear across Gendarran Fields from Havoc's Heir Airship all the way to Traveler's Dale Waypoint without ever touching the ground. To climb, use the Wing Flap while diving then Wing Flap again while pulling up. This should get you back at your starting height in the air if you time it properly with no lost altitude. Backward movement key can be used to climb, but will cause the griffon to land at normal speed. Climbing in air will be dependent on how much momentum the griffon has. The more momentum, the higher the climb! There is a speed cap though, and once the griffon hits the speed cap it can't go any faster or higher. The griffon has terminal velocity. Aerial Finesse will give a long term speed boost, while Aerial Prowess speed boost will wear off after a few seconds. Guild Halls are also a good place to practice, especially if there are oakheart essences used to decorate the area. These areas are less forgiving when wiping out, but are still great to check out on the griffon. The default setup of the keys may not be the most comfortable or easy to use. I personally use alternate key-bindings to get the most enjoyment out of my griffon. If you don't really use strafing, the mount abilities can be set to "Q" and "E". The mount abilities will take precedent and overwrite the strafing controls while in the air. Swoop remains set at "1", Mount ability 1 set to "2" and Mount Ability 2 set to "3". This works well on a regular keyboard but is also my personal setup for my MMO computer mouse. It's very comfortable and I don't have to contort my hand in a weird position. The dodge key can also be used to put the griffon into a dive, usually set as the "v" key. Also, there seems to be a bug where the griffon will go into an animation lock after a dive. I'll see if there is anyway to avoid it, or not. I'll update this thread as I find more info. Currently found that animation lock bug is less likely to appear when using the "v" key instead of the action 1 key. Bug seems to deal with going into a dive or pulling up into a climb. Thank you for this, but you forgot two very important keys. Movement ability 1 key and movement ability 2 key (by default, movement ability 1 is v, movement ability 2 is c). The griffon is the only mount that uses movement ability 2. There's an option in the menu that disconnects the jump key from the movement ability 1 key with the exception of skimmer. For the griffon, the wingflap is tied to the jump key, NOT to the movement ability 1 key, meaning that even when the two are disconnected, you can happily just jump and wingflap your way around. Movement ability 1 is the dive (as an alternative to pressing the attack key) and movement ability 2 is the climb after the dive (as opposed to the backward movement key). ohh neat. I will look even more forward to getting the Griffon. It depends how you've set your movement keys. A lot of people use c for backstep; some use s.
Post has been updated and improved. Thank you for the info. Best place for training is starting a griffin race and if you fail you can just click set back to start and try again. ty for this great guide. I'm not understanding Aerial Prowess at all. No matter what I do, I don't go fast up, I just end up losing a lot of altitude. When I use what I've bound to 'mount ability 2', I come out of a dive and just go straight. It doesn't 'carry my momentum upward', it 'pulls out of a dive and carries my momentum forward'. And for what it's worth, other than the space bar, I don't use the default mount keys for anything. I had to rebind them all. My ability 2 is 'Shift-2', for example. Could you tell me all the key-bindings you put for your mount? I'd like to test it out. @MidnightX.6294 Thanks, I forgot the adventures. Updated the info. For the practice areas, I tried to pick areas where the cost of waypoints was minimal or free. I have flown around the areas you mentioned and they are a lot of fun to explore. I was thinking of making a "fun to fly" area list as there is a lot of beautiful places to explore with the griffon. I'll add your suggestions under a new section. Okay. First, I don't use "Disable Conditional Mount Movement Ability Input"
C is my character sheet and X is my 'about face'. I usually keep 'double tap to evade' on, though sometimes will disable for a trickier puzzle jump, but it's not often. I know everyone (?) disables that, but it makes sense to me. If I have to hold down ctrl-shift-enter-alt-windows key-cmd-apple-tilde-D (<-hyperbole) to dodge, I end up dodging late or not. Places to practice: Your guild hall. They all have a pretty high ceiling, and waypoints are free. You can build stairs, or install oakheart essences to get any starting point you like. I struggled, too. Practicing is really good, especially varying your times (durations) for diving and "pulling up" again. What I mostly did wrong: I just tapped dive because I wanted to lose as less height as possible. Don't do that! Dive for good 2-3 seconds and you'll notice a significant speed boost. This boost will vanish after some time, but before that, you can "trade" it (or parts of it) for an upward boost. Handle it like a currency, longer dive -> more speed, longer climb -> less speed. Train at an easier griffon expert adventure. Oh, I rebound C to 2. This way, I can easily dive by pressing 1 (or is there any significant difference between the "attack 1" dive and the "mount ability V" dive?) and climb by pressing 2. Easy to remember! And as far as I know, C->2 isn't overwriting anything else, since it's only active on mounts. That's after spending 2h on this track. Added to the list. Thank you. I finally have Griffon mastered and am trying to follow these directions. It feels clumsy, like I have to mash several keys at once in the right order and let go of some of them at split second moments. I haven't yet managed the forever-speed horizontal flight. My key maps are B (dodge/mount 1), V (mount 2), and space (jump/wing flap), so only shifted one key over from your scheme above. I mouse move, so forward is LMB/RMB both pressed. Using Lost Precipice, I'm jumping off high with space, holding forward, and pressing B to dive, which works well, and V to go back up, which also goes well. I'm having trouble getting the space bar wing flap added to that: when in the dive should I use it? Should I use it while holding my rise? What gets me the miles of jet speed while going horizontally over the ground? The speed effect seems to fade out far more quickly than I've seen in videos. Thanks for the guide, I'm only as far as I am due to this thread, but nuances are escaping me. And I may never be terribly good at it as I don't do well with combo key presses under time pressure, ever. If you flap during the dive then you get that long term speed boost, but that needs a bit more starting height to pull off without planting the griffons beak in the ground. If you are reading this you have finished reading my post and are now reading my signature. +1 on this! I was a Griffon crash disaster when trying to do any of the flying maneuvers until I just decided to do all the Griffon Expert and Griffon Master adventure courses in order through all five maps. I would stay at one until I got GOLD, and then move to the next one, and repeat. Some I would get after a small handful of tries, others would take me 1-3 hours before I finally nailed the GOLD run. In doing this, I got so much practice and I can now "Griffon" with the best of them anywhere I like. 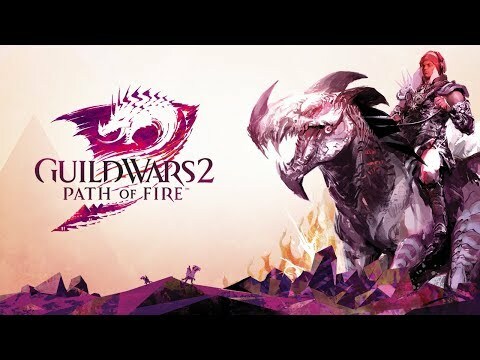 It has been the most enjoyable aspect of POF for me outside of the story. If anyone would like any assistance or in-game pointers, feel free to contact me -- I'm on the EU servers. I've been having a blast , kind of figured it out on my own but it is so incredibly fast and you can gain such tremendous height even a bit higher than where you jumped off. So exhilarating on all the maps and watching the world below become small and it makes maps so beautiful in a new way. "use movement ability 2" Everyone can see "movement ability 1" but - Where is this since the second mastery is supposed to give us a skill on the skill bar - so where is it? Please tell us why that skill isn't where it needs to be, just like skill 1 ? Movement ability 2 is normally set as the "c" key. The movement abilities for the mounts are not shown on the hub except for the engage ability to attack mobs. Go into the option settings in the game menu. Scroll through the control options and there should be a sub-category for mounts. The devs were not the most transparent with all the mount controls, and not all the mounts use the mount abilities 1-2. @eithedog.4678 Yeah, the movement abilities aren't set to the most human-hand-friendly positions. I went into the settings and changed the mount abilities 1 and 2 to much more comfortable key settings. I was thinking of doing this too but I haven't tried it yet. Makes the most sense to me. And maybe bind V to 3 so I have all three movement skill under my fingers. Doh, went back and read OP's complete post and he already mentioned this! Thank you all for the comments, it really helped. I stumbled on the Kormir Temple expert griffon adventure and combined the advice in this thread with reading the tooltips. It took me quite a few tries but taught me a lot about griffon controls and I even got gold in my first session. I need a lot more practice still but I am more reliably getting the jet speed now. I think "Mount Ability 1" is different from "Mount Attack," Thanathos. At least, I have it bound to my dodge key so when on a mount I press dodge to rocket forward, spring up, soar, or blink, whereas pressing 1 engages me in combat. On griffon that sends me rocketing groundward (which turns out to be the best way to land the beast with some precision, pressing backpeddle to slowly sink is not optimal, though 'tis amusing to think I have to lawn-dart a landing). Since I have dodge on "B" I went ahead and put Mount 2 on "V" to keep everything near the space bar since my right hand's on my mouse to press forward. So it's space bar flap to rise, get over a good drop, hold B to dive, when near the ground tap or hold V to level or rise. Come to think of it there is a significant difference -- as far as I can tell, if you nose plant using the Ability 1 bind (again, dodge seems best for that), you don't dismount. If you nose plant using the Attack skill, you're off the mount and possibly in combat depending on nearby mobs. Why isn't there just a number 2 skill on the skillbar as the second level states in its tooltip? I don't want it keybound - I want something I can press with my mouse when necessary like the #1 skill. It states it's there in the tooltip, but then you get to the third level and go 'what the heck'. I need a pressable mouse key, not a keybind. I think "Mount Ability 1" is different from "Mount Attack," Thanathos. Yeah, you're right. Took me some more adventures to figure it out. Beneath the difference you've mentioned ("attack" dismounts on ground, "ability 1" not), another very important one is that you can't cancel the attack leap. Or say, the attack leap has a minimum height distance before you can stop leaping. If you wanna leap for only a tad, ability 1 is much better. I've rebound everything to 1 / 2 / 3 now, like in OP's post mentioned. My problem: I can go into a dive by pressing V, but can’t seem to gain altitude by hitting C, so I wind up having to land right away. Any suggestions would be much appreciated. You have to start flapping wings just after you start your dive; you need the extra speed to build up enough momentum to restore your height (and gain a little more). As it turns out, the adventures are a great tutorial for learning how to fly the griffon, especially because of the ease at which you can reset to your jump-off location. What I did wrong about this is that I always pressed V shortly. Get to a griffon adventure and practise it a bit bit pressing V a solid second or two before trying to get up again with C.
Hey all. I wanted to add another cheap point to learn how to fly the griffon, that hasnt been mentioned yet. In Diessa Plateau, South of the "Blasted Moors Waypoint" there is a tower at the Point of Interest "Moorwatch Tower", together with a vista. To get on top, you have to enter a cannon to the south/south/east of the tower. The tower is quite high, there are no big objects in the way and the waypoint is cheap and close by. Another possibility would be the Melandru temple in Siren's Landing. It's literally free to reach when you own the portal tome and has decent height. I just have Aerial Prowess, and have been practicing from the top of the Astralarium in Istan. I stand on the tip of the telescope and look north towards the mirror I can see in the distance. From there, I can flap once, go into a dive for 2 seconds, zoom towards the mirror and then pull up over top of it -- you want to pull up while the supersonic effect is on your wings -- and then flapping at 70% I can get back to the base of the cupola on which the telescope sits. If I don't get it quite right I can get back to the terrace on which the cupola sits. Can't wait to get Aerial Finesse! Anyhow, this thread is an oldie but goodie so wanted to bump it and add a nice practice location and task.